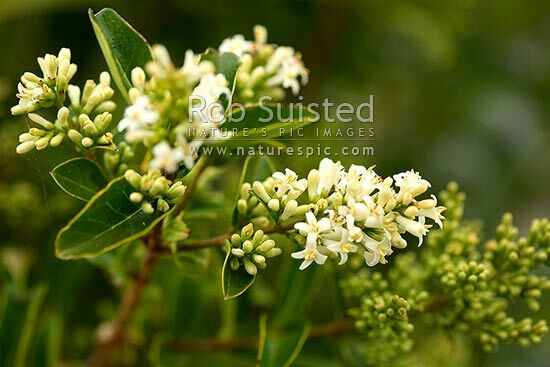 Tree Privet in flower (Ligustrum species) National Surveillance Plant Pest, weed. Evergreen. Allergen, New Zealand (NZ), stock photo.